This cooler design will look familiar to R9 Fury Non-X owners. Read more on AMD's prototype RX Vega design. 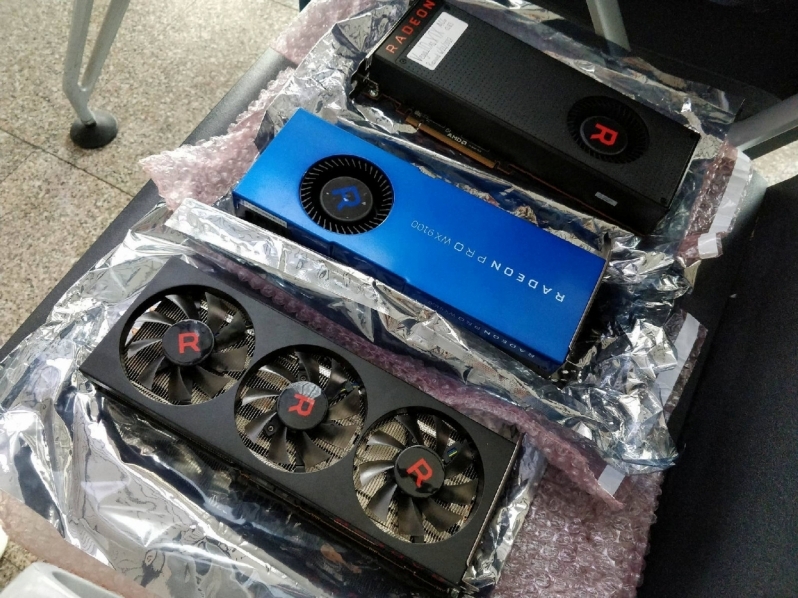 I wish they had a Vega logo on the fans instead of that R.
These cards are asking for a waterblock to be put on them taking into account the small size of the pcb. Yeah should be easy getting them down to single slot too, like the Fury X.